Calcium Silicate Insulation Board is a kind of high density calcium silicate insulation board for sale and manufactured in Rongsheng Kiln Refractory Company. 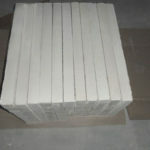 There are high quality customized calcium silicate insulation board provided for resisting high temperature erosion in the industry kilns and exported to many countries for application in various industries of electric power, metallurgy, petrochemical engineering and steel & iron for thermal insulation. Welcome to Contact & Email RS for Free Quote. Calcium silicate board is composed of siliceous material, such as the SiO2, comcalcium material, mainly refers to CaO, reinforced fiber material, and additives, etc. 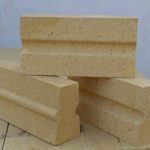 Base on a certain proportion such materials are complexed in the process of selecting, moulding, and autoclaved curing, being made into a new type of inorganic building materials. The most important properties are fire proof and thermal insulation properties, which take its name. Calcium silicate insulation board can be used in the partition mainly for the features of sound insulation. 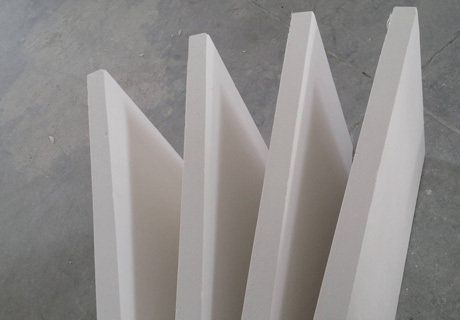 Besides this, it is widely used in household decoration, such as the calcium silicate wall or calcium silicate partition wall, and high temperature parts of various industries for the features following. Calcium silicate insulation thermal conductivity is low than the ordinary fiber insulation materials. So it is mainly used as building materials, insulation materials, and refractory materials, etc, takin the places of Calcium silicate properties are high strength, high heat resistance, asbestos free, anti-corrosion, and low thermal conductivity etc. 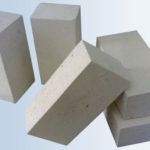 Thermal conductivity of calcium silicate is lower than other block-shaped insulation materials. For the excellent properties above, calcium silicate insulation board can be used as the fireproof insulation and sealing materials in electric power, metallurgy, petrochemical, building, etc. Take some details for example. Back lining of the refractory bricks and unshaped refractories, etc. Calcium silicate insulation board thermal conductivity is low than the ordinary fiber insulation materials. The heat conductivity coefficient is 0.11, and the insulation property is five times higher than that of the glass, three times that of the fireclay, and ten times that of the ordinary concrete. So it is mainly used as building materials, insulation materials, and refractory materials, etc. in the thermal insulation layer of the iron and steel industry, petrochemical, ceramic, glass and cement industries, etc. Last but not least, such calcium silicate board is easy to use, thus to improve the efficiency, shorten the construction period and reduce the investment of the manpower. And as a kind of artificial fiber board, it is durable with a longer service life. What’s more, it is pollution-free, because no radioactive and hazardous substances are generated during the process of the production and application. Where to find trust calcium silicate insulation suppliers on the fierce market? Come to RS, a professional manufacturer having specialized in calcium silicate insulation board for more than 20 years. Compared with other calcium silicate insulation board dealers, RS has its own advantages. Occupying the favorable position, which is located at the foot of Mount Song, a place of Xinmi city that is rich in high quality materials. RS is in transport hubs, with Zhengshao Expressway, as well as Longhai and Jingguang railway, which saves a lot of delivery expenses. For more than 20 years’ of hardworking and research, RS has sufficient raw material, advanced equipment, and mature production technology. From the reasons above, plus the brand strategic developing road that RS is exploring the international market, the calcium silicate insulation board price from RS is lower than someone else. Development of calcium silicate insulation board is an effective way to comprehensively use resources, to save energy, and to reduce the cost. And if possible, why not? Move you hand, consult the details, check the price and get quotation now!